There is no way to calculate the exact costs of moving house for plenty of reasons. Moving home is a complex process that involves a wide range of things to spend money on. 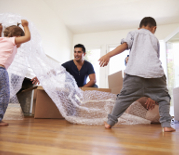 Your overall moving expenses certainly increase with the scale of the move. The volume of the belongings and the distance travelled during the house relocation are the core 2 factors that influence the moving cost. The cost of moving house will be an amount between £100 to £2000+ if you’re moving on the territory of London. If living on rent, you won’t have to spend on selling or buying a property. The overall expenses, including all of the things from the list, may reach from £125 000 up to £500 000+ depending on what your goals are. What Affects the House Removals Costs? It’s a no-brainer but you can’t expect to move on a budget if you’re living in a 5-bedroom house and more than 1 van is required for the transportation of all household items. The bigger the move, the more expensive it gets. Take a better look at what to be careful of before and during relocation if you want to lower the cost of moving house. If you’re going to compare prices, always compare your quote with one for the exact same move. Don’t get false data on prices from friends, family members or even strangers who claim to have used a particular moving company before and it gave them “the best” price. Always check your quote with the help of a calculator on the website or by calling the sales department for more information on the price of your particular move. The traveled distance is of huge importance when it comes to calculating the cost of moving house. It impacts the removals price significantly, especially for long-distance moves. We usually charge about 60% more for long-distance moves up to 200 miles away than old property. If the customer is going more than 200 miles away, we apply even additional charges as the move out service becomes much more complex, respectively. The higher the distance, the harder it gets for the moving company to deal with your house move. The movers get more exhausted, they have to be paid overtime, costs for fuel become much larger and you can even go beyond the 7.p.m. work time when removals prices get about 2 times higher. Please, consider this when booking your house removals service with a local company. If more time is required to complete the job, expect higher service costs. Movers will have to disassemble any furniture that doesn’t fit through the doors and will then assemble it at the new address. 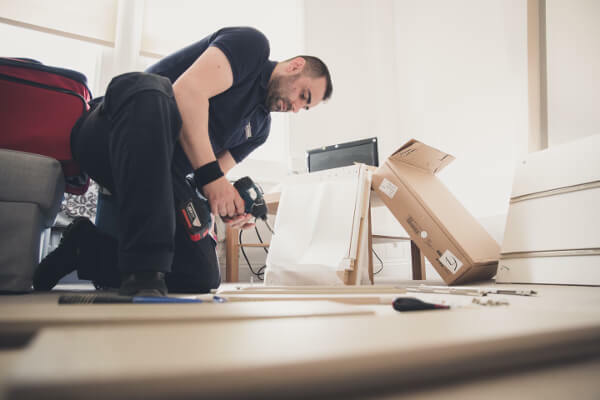 If you haven’t prepared the heavier items for fast and easy dismantling, this will slow down the movers and time duration of the service will result in higher costs. Most house removal costs are formed on an hourly basis. 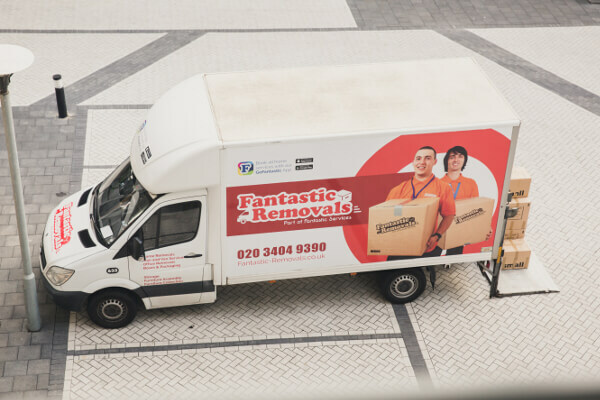 Removals companies in London, including Fantastic Removals has hourly-based removals prices which vary from £45/h to £134/h, depending on different factors, such as the number of movers, the day of the week, time of the day, type of van, membership promotions, price discounts etc. Remember, duration of the move highly affects your moving costs, do anything possible to reduce the time, required for the move out process. When moving out, there are plenty of other services you can take advantage of. Each will be of great use and will help you a lot in making the move smoother and less stressful. 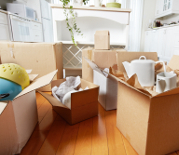 along with the house, removals will increase the moving costs but you will most probably save money in the long run. 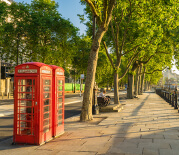 If we do the packing for you, there will be insurance on your belongings for moves on the territory of London. This means we take responsibility if something is damaged or broken – you don’t get such a guarantee if you pack on your own. To complete the packing service quickly, 2 packers for a period of 3 hours is the most optimal option. Price depends mostly on the number of packing materials you’ll need. If you’re living on a rent, your end of the lease agreement with the landlord probably requires from you to leave the property clean before vacating it. You don’t need to contact a cleaning company for the job. Most professional moving companies have expert cleaners at their disposal. Simply mention that you’ll need help with a move out cleaning service and the sales agent will provide you with a quote for it. Lots of people who’re on the move need a place for temporary storage of their belongings. Personally dealing with it takes lots of time and effort. Items often get damaged because of improper storage and handling before that. Moving at the end of the week. Moving at the end of the month. Provide unclear date of your move. Make changes to the moving date a few days before the move. Preventing the movers from arriving on the scheduled date (if you have not secured a parking lot or something else blocks the movers to access your property). Expect an average increase in your removal company costs of up to 85-90% if planning to move after 7 p.m. 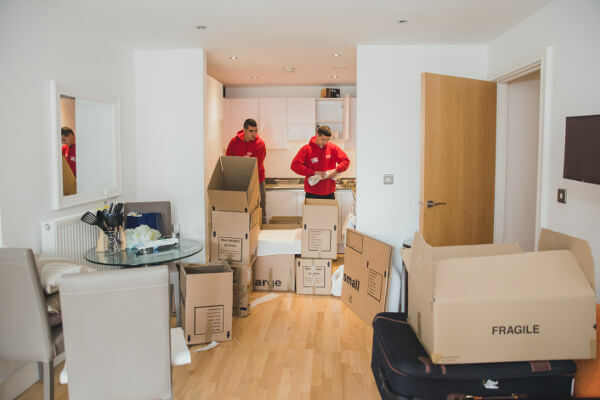 Completing a move out service at the end of the working day is not impossible but the movers will have to be well compensated for their extra effort during this time of the day. If you need 2 men with a Transit van before 7 p.m. that would usually cost around £45/h but later than 7p.m. the price increases up to about £88/h which is almost twice more. If you’re planning a large-scale house move with 3 men and a Luton van, the price for completion of the job after 7 p.m. is approximately £130/h. We highly suggest that you carefully plan your house move and calculate your expenses well in advance, considering all the factors we’ve mentioned in this post. Move late at night only in an extreme situation when it’s your only option and there’s no other alternative at all. 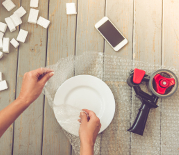 Unless you get insurance, combined with the packing service, you’ll have to negotiate the terms and conditions on how your belongings will be insured during the move. The removal companies have plenty of ways to ensure your items but not all of them prove to be beneficial at all. We recommend you definitely get insurance if the move is a long-distance one or it’s an international move to a destination out of your current country of residence. The chances of getting your belongings damaged increases with the distance being travelled. Ask the removal company’s sales representative if you’ll get insurance if they do the packing for you. Only 10% of moving companies do not offer this deal, with them, you’ll have to get your insurance through additional negotiations for insurance. A transit van is most suitable for small to medium-scale moves. It’s enough if you have 2 or 3-bedroom property of moderate size or if you’re living in a flat. The prices for a house move with transit van and 2 men start from £45/h to £60/h. For the same number of movers but with a Luton van, the price goes up with an average of 15-30%, starting from about £50/h up to anywhere around £60/h. If you’re going to need a bigger Luton van for your large-scale house move, expect an increase of the removals cost of approximately 25-35%, depending also on the number of movers you’ll need to get the job done efficiently. 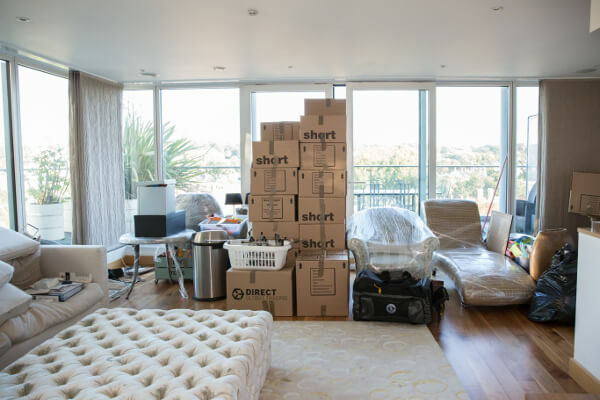 To give you the most precise average removal costs you can get, we have processed data from thousands of house moves in London. The average removals price for each property type includes all of the factors, listed above. The price is only average, which means that in your case it can be 20-25% lower or a lot higher if you request lots of additional services or the job get done a lot later than expected. Distance move £350-£500 (up to 200 miles away). 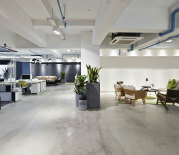 Furniture dismantling and assembly is included. All moving boxes will be loaded into the moving van. Distance move £450-£600 (up to 200 miles away). The approximate price does not include packing service and packing materials delivery. Distance move £750-£900(up to 200 miles away). The average price does not include packing service and packing materials delivery. Distance move £1100-£1500(up to 200 miles away). Distance move £1500-2000 (up to 200 miles away). 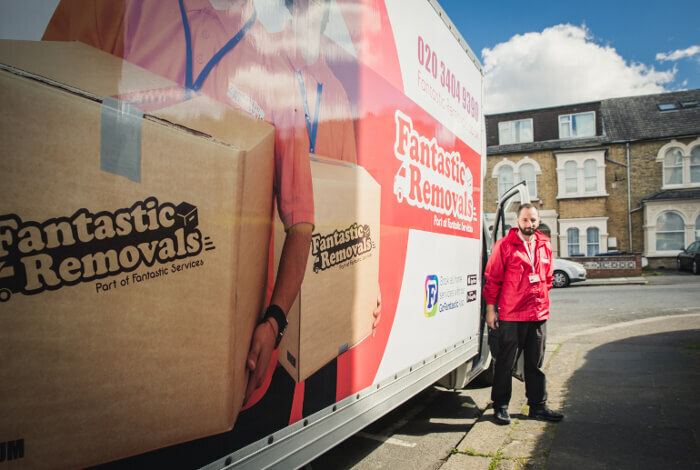 The price for long-distance moves when they are up to 200 miles away increases with 60% on average when you book your house move service with Fantastic Removals. If the move is to a destination more than 200 miles away than the average distance, traveled across London, some additional costs are added to the price. Our International house removals services within EU are quoted at a fixed price. We will tailor the service and calculate the costs, based on your specific requirements. A 50% deposit is required for all overseas international moving jobs. Delays in completing the job due to your mistake. Having much more stuff for transportation than mentioned when booking. The international removals service doesn’t come with packing. You’ll have to consider additional costs for this service if you’re not planning to pack on your own. 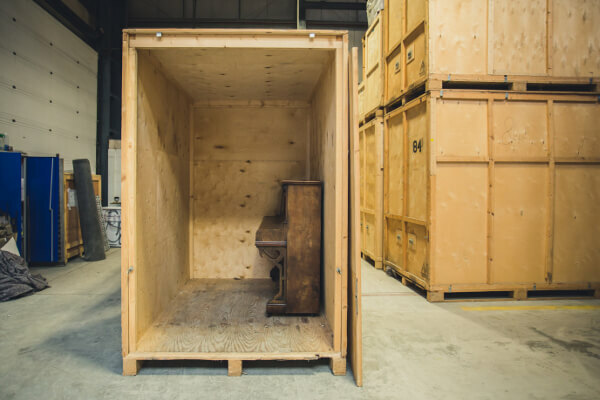 Mind that a few hours will be required to do the packing of a small or medium-scale move and up to 1 workday if you’re about to do a very large-scale international relocation. Temporary storage is a very handy solution after a house clearance before a move. Instead of trashing or selling the furniture, you can keep it inside a storage facility and then move it to the new address. This way you won’t have to deal with any furniture transportation while overwhelmed by the move. We usually take care of our customer’s items for a week or two before they settle the details of their international move. When they’re done, the content of the storage container is loaded from the storage facility and transported to the new address abroad. You may also take advantage of a removal and storage service to store the things you will not get with you abroad. Before you manage to donate or sell it, a storage container is your ultimate solution. You won’t have to transport anything to the facility we’ll send a team of movers to your place to pick all unnecessary belongings and load them into the moving vans. 2. + the expenses on the removals job (standard prices apply for the removals). 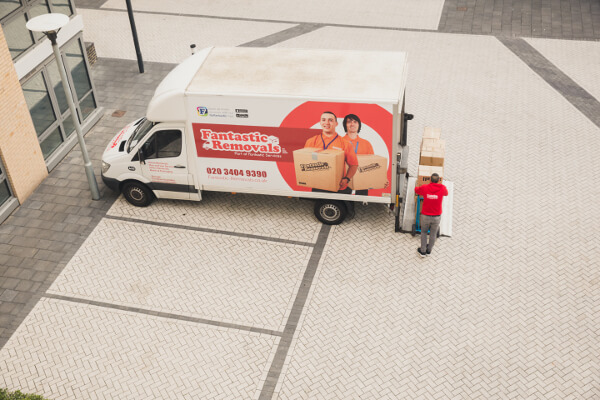 With Fantastic Removals, you’ll get a free storage for 1 week if the removals service lasted more than 4 hours. We can only help you with an international house move to countries within the EU. You won’t have to pay any customs duty for your household items(bought in the UK) because such tax has already been paid when these items were initially imported into the UK. If you’re planning a much more distant move to a destination such as the U.S. or Australia, you should read more on what amount of taxes you’ll be requested to pay at the customs. Rates may be as low as 0% but may also reach up to 100% of the item’s value, depending on that type of goods. The average amount of customs duty taxes is around 2% of the items’ current market value. Each country has specific types of visa, each with unique requirements. There isn’t any fixed price on getting a visa because it’s a complex procedure that may last from a few weeks up to several months, depending on the circumstances. The average cost for an employment-based visa in the U.S. is £450 but if you’re moving from the UK to a country with the EU, you may not have to get a working visa as long as you have citizenship from an EU country. Costs for getting a visa change from £0 to more than £2000 if you’re moving to Australia where Visas are quite expensive. Carefully consider this expense and add it onto the total removals costs for your international house move. No fixed price for that as well. You have to research your airline company and the prices they currently offer to their customers. The earlier you book your flight, the cheaper. Consider avoiding bank holidays and end of the year as a date for your flight as prices at this time of the year are ridiculously high. Use Sky Scanner’s calculator to get an estimated price on your flight but consider fluctuations in the price of at least 5% to 50% as it changes each airline company. If you’re traveling by plane, you will have to get your pet with you on the aircraft. If it’s a very small animal species, you won’t have to buy a plane ticket for it. If it’s a larger one, the staff crew will transport it to the aircraft’s cargo and will stay there during the flight. The cost for moving with a pet increase proportionally with the animal’s size. Dog breeds that are bigger may cost you up to £4000 to transport them abroad. 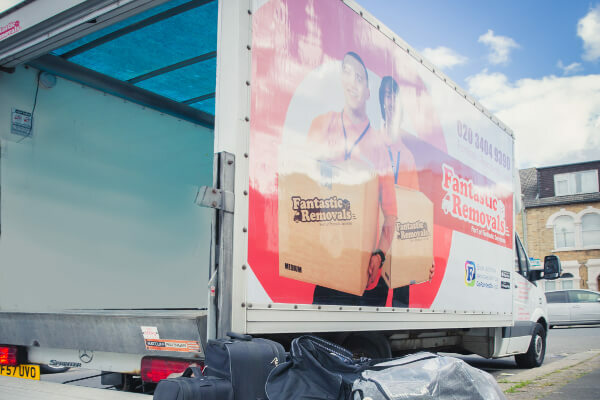 Spending money on the moving service is only a small amount of your total expenses during the move if you’re not moving into a rented property. Buying a house is probably one of the most important steps in life and we suggest you don’t rush it. Thoroughly research the real estate market and review your budget once again. Don’t go for a property that’s beyond your budget and needs. Get on that will provide you with the type of living you need and not much more. The mortgage valuation is a standard procedure, which will provide you with a valuable information whether you’re about to pay too much or too little for a property. The bank (your mortgage lender) needs this type of information for the deal. It’s often a free procedure for smaller properties but you may also have to pay a small amount to get the job done. You can’t avoid mortgage costs, they are mandatory and it’s best to pay them as soon as possible. For more precise calculation on your mortgage fee, use this house price calculator. There are 4 types of property surveys, depending on the type of real estate you’re looking forward to buying. Depending on which type you’ll have to pay for, your expenses range from £200 to £600+. This type of survey focuses on the property valuation itself. It has a 3-point rating system for evaluation, which is very comprehensive. Homebuyer reports evaluate the property’s condition and the construction’s state. Surveyors will be looking closely for signs of wear in the building materials, mould and damp, caused by water leaks in the walls etc. Any issues on the property’s overall condition will affect the home buyer report. This means you’ll probably pay less for the property afterward, based on the type and scale of the noticed issues. Includes a property valuation + a comprehensive and detailed report on any issues noticed during the survey. Of course, the details come at extra costs. If you’re a perfectionist and everything comes down to “more = better”, opt-in for this type of survey. Professional structural engineers will arrive at the address and will initiate a top-notch inspection of the whole property, including all structural elements such as columns, foundations, roof, walls etc. In the end, the engineers will provide you with a very detailed report on the survey so you can draw as many conclusions as you need before considering to buy the property. You’ll need someone to take care of all legal work when buying your new home. Solicitors in the UK work at quite high hourly rates and will have to do tonnes of research on the legal details. Consider having expenses of anywhere around a thousand pounds on this. The solicitor’s fees you’ll have to pay in the end are strictly related to the overall cost of your new property. You’ll pay the average legal fee + any additional fees on the job. The stamp duty is a legal requirement for anyone who’s buying a property in UK, Northern Ireland and in Wales. Only those who purchase a property worth more than £125,000 are subject to paying a stamp duty tax. That stamp duty tax has to be paid to the HMRC and usually, the solicitor you have hired will deal with most of the job on this. People who’re buying their first property will not have to pay Stamp Duty tax unless the deal is worth more than £300,000. To determine your average expenses on the stamp duty, make calculations using the actual price of your property and the rate from the category it falls within. The deposit when buying a property in the UK is approximately 10% of the property’s accepted offer. The average cost for a house in the UK is about £230 000. Respectively the deposit on this price is £23 000. You can, of course, give a higher deposit if you have saved more than the average minimum costs on the deposit. This will dramatically decrease the mortgage cost, resulting in much lower bank payments each month. Selling a house comes at a price too. Don’t expect only to profit from the whole deal. There are plenty of fees and taxes you’ll have to pay before finishing the deal of selling your house. Things get a little more complicated if there’s still a mortgage loan for what you’re selling but don’t panic. Just get informed on all the costs of selling a house and you won’t face any unexpected problems. We also recommend to properly estimate the added value of your property’s location. "Location matters because it influences so much including school districts, ease of transit, and resale value. In general, the suburbs closer to the Twin Cities have higher equity. The surrounding homes also affect the worth of your homes. This creates neighborhood equity as well. Even within a neighbourhood, different locations are worth more. For example, a home in a cul-de-sac is removed from traffic providing a safer and quieter environment than homes on busy streets. This location can raise a home’s value even from a similar house down the street". Having a mortgage loan on the property you’re selling? Don’t worry, it’s most certainly portable. This means you can transfer it onto the new property you’re buying and sell the old house for its current market price smoothly. Contact professional loan experts who’ll provide you with all the information you need. Mind that there will be fees you’ll have to pay during the arrangement of the new mortgage details. Put money aside for arrangement fee, product fee, and consultation taxes for the loan expert (if he’s a private one). The remortgaging cost is pretty low but mind that you will have to pay all the fees on the new mortgage, which are a lot higher. Average costs on your new mortgage: £0 – £2,500 + ~£100 – £200 for booking fee. Read more about remortgage fees in detail. Selling without the services of an estate agent is close to impossible nowadays. The real estate market is super dynamic and volatile. Unless you are a professional, working in the field full-time, you won’t be updated about anything at all. We highly suggest you talk to a real estate agent and negotiate a payment rate for their service. The fees for using the services of estate agents in the UK range from 1% to 3.5% of the property’s value. The chances of finding a real estate agent who works at a fixed price are moderate to very high, depending on the region you live in. Our advice is to carefully research this phase of selling your property. It may turn out to be greatly financially beneficial at the end of the deal. The actual fee you will have to pay, aside from the solicitor’s payment rate, is a bank transfer fee. You can avoid a lot of hassle by hiring the same solicitor for selling your old house and for buying the new one. You can also use this conveyancing calculator to get an estimate on the costs. Digital Editor at Ideal Home and winner of PPA Digital Editor of the Year 2018. Anyone in the UK who’s selling a property must be able to provide an EPC (energy performance certificate). The certificate provides a thorough description of the property’s energy efficiency levels. The scale is from A to G, while properties marked with A are the most efficient in terms of performance and G – the most inefficient. The EPC is provided only after an accredited energy assessor performs an inspection. You can talk to your real estate agent about this and ask him to arrange the necessary procedures for getting your EPC. An EPC in the UK is valid for 10 years. If one has been provided in the last 10 years, you can use it as it is a totally legal document. If you’re a first buyer of the property, this means no EPC has ever been given to you at all. No matter how much time you spend to research all the things that will increase your removal costs, the ultimate solution is to use a proper calculator. We have designed a service booking process, which provides you with an estimate quote when you fill all the necessary fields with the information on your house move. Check it out now and get an estimate moving quote quickly and with almost no effort at all.